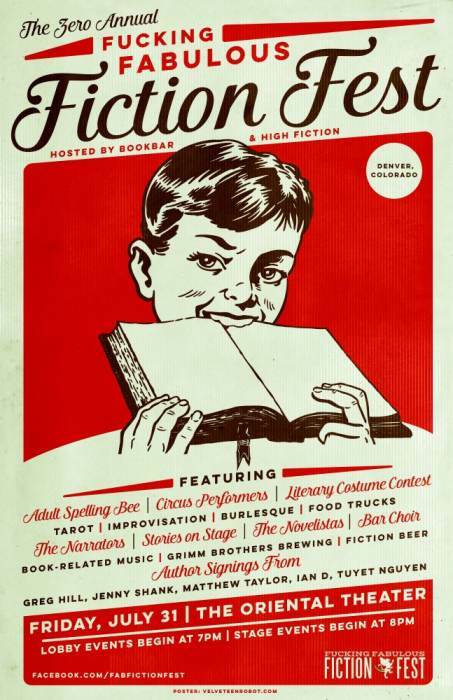 Tarot / Improvisation / Burlesque / Food Trucks / Book Related Music & much more! 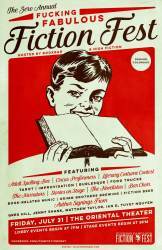 Denver bookstore / wine bar, BookBar, and indie band High Fiction have teamed up to bring a unique literary event to Tennyson Street in Denver's Berkeley neighborhood. 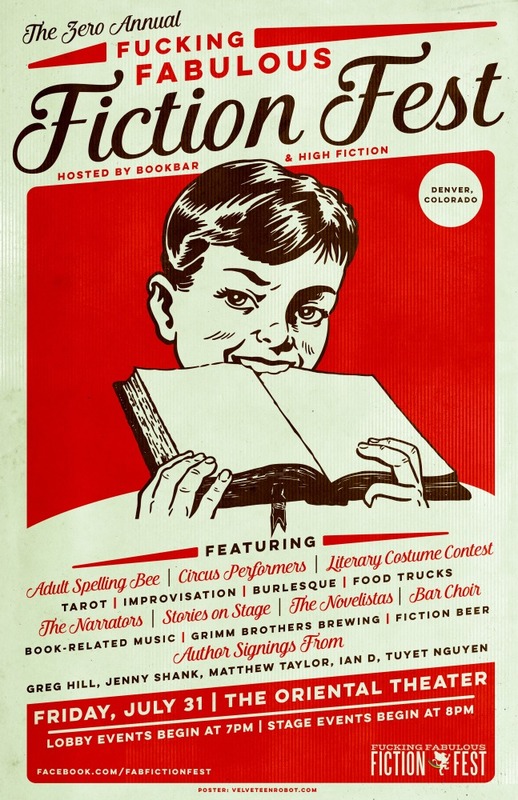 For one night only at The Oriental Theater, BookBar and High Fiction will host a low-brow, highly accessible celebration of all things literary including local authors, book-related music, beer, improvisation and various forms of live performance. Specifically, there will be sets from The Narrators, Stories on Stage, Bar Choir and The Novelistas, as well as an adult Spelling Bee, literary costume contest, tarot card reading, community poetry, and burlesque. Author appearances, performances, and book signings will include Gregory Hill, Jenny Shank, Matthew Taylor, Ian D, Tuyet Nguyen and much, much more. Lobby events, including book sales, signings, merchandise, and beer sales will begin at 7 p.m. Stage events begin at 8 p.m. Fiction Beer and Grimm Brothers Brewing will be on tap for the evening. Food trucks will be available.